Only order the AudiophilOptimizer in our web shop if you prefer to use a credit card instead of PayPal, then allow us 12-24h to manually activate your license in our system. STEVEN PLASKIN: "...An Indispensible Piece of Software"
AudiophileOptimizer made a significant improvement to the sound of my music programs when applied to Windows 10 Pro. I have found AudiophileOptimizer to be an indispensible component of my music system and strongly recommend the use of this software. Voices and instruments were superior in terms of focus and resolution without the electronic haze I heard in the unmodified Windows 10 Pro partition. It was hard to go back to listening to the unmodified partition; AudiophileOptimizer is just that effective in transforming the sound heard from a Windows 10 computer. HOWARD KNELLER: "...it significantly reduced glare, and created a much more fluid and organic sound." 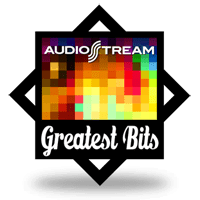 In a world in which $133 buys you just a handful of hi-rez downloads, Highend-AudioPC’s AudiophileOptimizer is a stone-cold bargain -- and that would still be the case even if AudioPhil charged a lot more for it. If you’re an audiophile looking for a music server, you’ll want to strongly consider one that can run WS 2012 R2, and thus AO. If you want the level of sound quality AO can deliver but go any other route, be prepared to spend a pretty penny. And if you’re a manufacturer of music servers that use Linux, or any other OS that’s not WS 2012 R2 or WS 2012, take notice: Your competition has upped its game. CHRIS CONNAKER: "...This week I heard the best digital playback I’ve ever heard. Period." What I found was similar to what many computer audiophiles have been saying for quit a while, the combination of Windows Server 2012 R2 and Audiophile Optimizer is fantastic... Once configured, the PCs were placed in a system with Berkeley Audio Design and Constellation Audio components, and Magico M Project loudspeakers. The sound I heard when the AO optimized PC was played for the first time, and throughout my stay, was stunning. We even had an identical computer setup, but running Windows 7 and without AO and its optimizations, for comparing sound quality. This enabled us to do A/B comparisons between the Windows 7 computer and fully optimized 2012 R2/AO computer with the only difference being the optimization of software. The sonic differences were easily apparent. The optimized computer made it possible to hear the smallest details in recordings at incredibly low volume levels... Everything from soundstage to reverb trails to the ambiance of a concert hall was improved with these software optimizations. On one track the drummer struck a bell and the sound seemed to hang in the air for ever while at the same time being completely distinct from the rest of the sounds. Every instrument had its place and its space. The listening experience was truly something to behold... Based on my experience this week, the sound quality bar has been significantly raised.